Kody Brown with his wives will not face bigamy charges. The reality TV “Sister Wives” family is off the hook on bigamy charges in Utah, The Associated Press reported. "The criminal case against the Browns is closed and no charges will be filed against them for bigamy unless new evidence is discovered which would comport with the office's new policy," Utah County attorney Jeff Buhman wrote Thursday in federal court filings, according to AP. 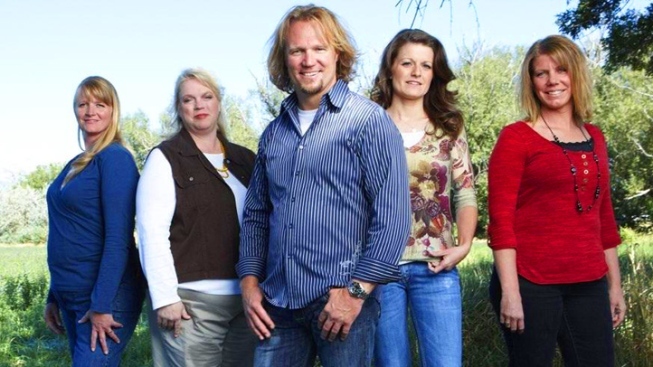 The Utah authorities had started investigating charges of bigamy against Kody Brown and his four wives -- Meri, Janelle, Christine and Robyn -- before the show premiered on TLC in 2010, according to AP. Brown, 44 moved his wives and their 17 children to Las Vegas when the investigation began and sued Utah County, the state governor and attorney general, according to People magazine. He argued that the state's bigamy statute violates his family’s constitutional rights to due process, equal protection, free exercise of religion, free speech and freedom of association, AP reported. A federal judge dropped the state lawsuits, but permitted it to continue against the county. On Thursday, Buhman wrote that his county adopted the state’s policy and would not pursue bigamy cases unless there was proof of a victim or fraud, according to court papers. "I want to express our great relief for the Brown family that this long-standing threat has been finally lifted," said the family’s attorney Jonathan Turley in a statement, AP reported. "The family has spent years being publicly denounced as felons by prosecutors and had to move to Nevada to protect their family and children." Turley added that the Browns will continue with their lawsuit against the state.